The Adobe Graphic Designer Shortcut Keyboard is the first 3-in-1 keyboard ever produced by Logickeyboard. It works with three of the most popular Adobe graphic design applications – Photoshop CC, Illustrator CC and InDesign CC – providing you with more than 225 shortcuts in a single keyboard. The Adobe Graphic Designer Keyboard makes it easy to switch between the applications and still have all the important shortcuts right at hand. 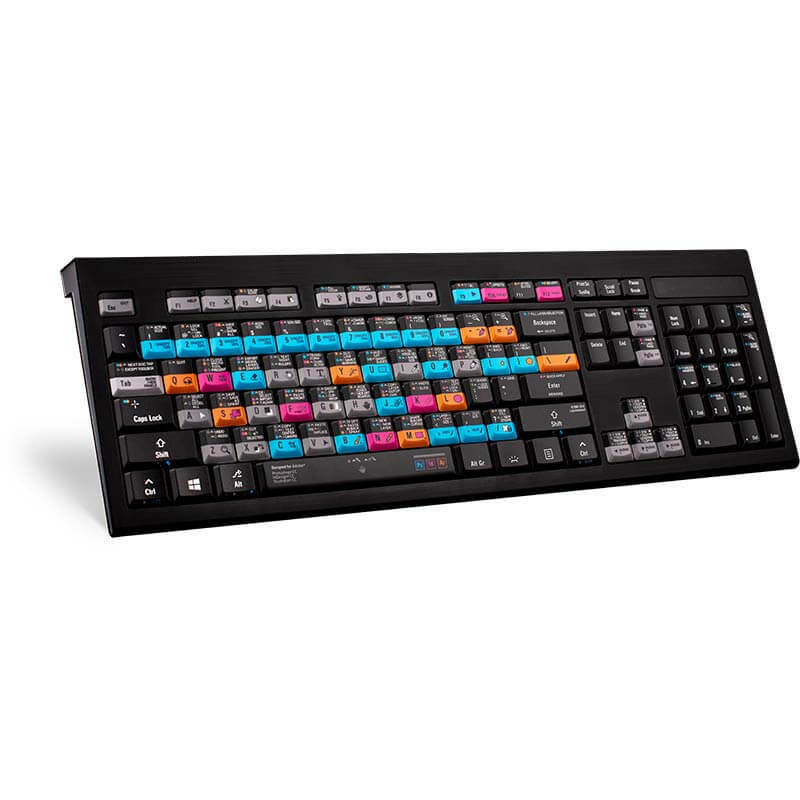 Developed on Logickeyboard's backlit ASTRA keyboard it is perfect for working in any lighting environments. With 5 selectable light levels, the Astra is optimal from day to night, from bright rooms to low lights, and it’s controlled with just a tap of your finger. The keyboard features two USB 2.0 ports to enable you to connect e.g. your mouse, contour shuttle or a USB-dongle. Logickeyboard engineered one wire for the USB hub and a separate one for the keyboard. It’s perfect for editing systems that use USB KVM extenders as well as installations that require data security. 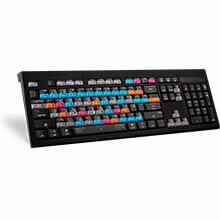 This dedicated Logickeyboard, also features all the regular letters, numbers, and symbol labelling that you will find on a conventional keyboard, it can simply be used as a substitute for it. Easy to set up and use. No software required.